More Sunday cycling, and another local hill. 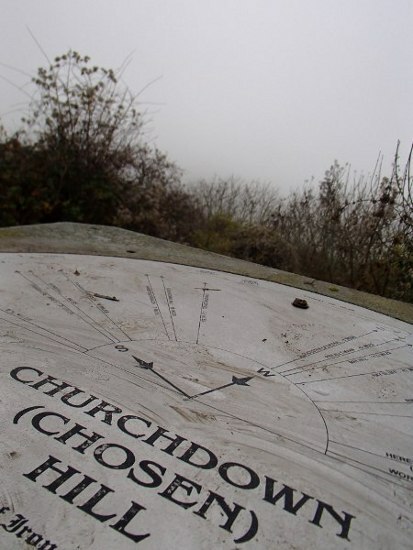 This time Chosen Hill, though no lovely views from the summit as everywhere was in a cloud. I'll have to take the toposcope's word for it! No ridiculous mud this time - there's a road going up to the top (where there's also a church), but it's really bloody steep so once again I failed to actually ride all the way.